I am happy to announce that Live Like This Part 2 is now available. 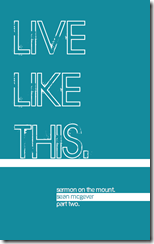 Thank you to everyone for your encouraging emails and comments about Live Like This Part 1. I have continued to find the wisdom found in the Sermon on the Mount to be challenging and rewarding not only in the small groups I lead, but also personally. We have even adapted this study for a married Bible study group and for large college YL ministry small groups. 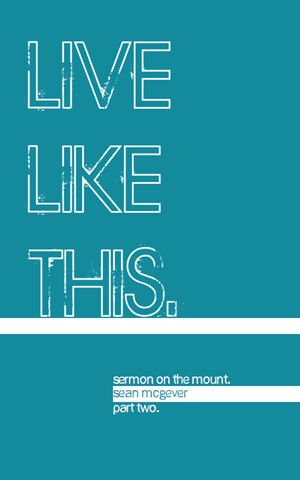 I trust that Live Like This Part 2, the second and final installment of a Bible study through the topics found in the Sermon on the Mount, will continue the style and approach of Live Live This Part 1.